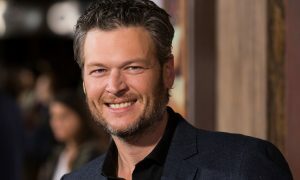 On Thursday, Blake Shelton took home three trophies from the Country Music Association Awards, including the ‘entertainer of the year’ prize. 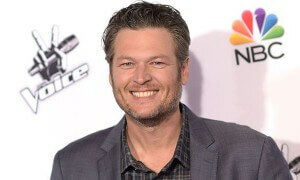 Shelton also won the title of ‘male vocalist of the year’ for the third time. 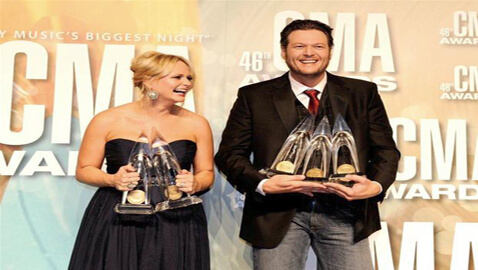 With the highly emotional ballad “Over You,” it was family time for Shelton as his co-winner of the “song of the year” was his wife Miranda Lambert. 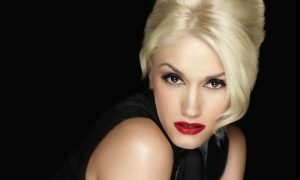 And Lambert, in her turn, won the ‘female vocalist of the year’ prize for her third time.